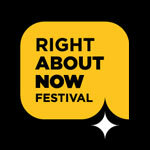 RIGHTABOUTNOW brings the young, interdisciplinary artists from the major Western cities together to create new art forms, crossovers and stories to shows what the western urban melting pot can produce. 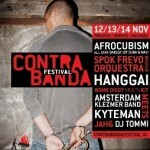 Fra Fra Sound is the Amsterdam jazzband that has performed on concert stages in more than 50 countries. Seven master musicians blend different elements from black music into their own sound. Energetic jazz in every possible meaning, with worldly influences from North-American jazz and funk, Surinamese kaseko, kawina and winti, and African rhythms. Work: PR and Promotions. Tasks: presspromotion, targetpromotion, free publicity, social media, webmaster website, newsletters. The Tropentheater is a well-known Institute in the Netherlands ( also known as the Tropical Institute) and is the best place for concerts, dance performances, theatre, youth theatre and films from non-Western countries and the fringes of Europe. Work: Marketing, sales and communication, freelance. Tasks: press- concert and targetpromotions for many different productions from Amsterdam Roots Festival with Inti Illimani & Eva Ayllón ( sold out) to theatre group Hassan’s Angels (sold out) and other projects with music from India, Pakistan, Tango, Bosnia, Uruguay, Sufi, Afrobeat and Dansen in Marmer DJ-nights. Projects: Analog Africa, Int. Danstheater, Anibal Velasquez y Los Locos del Swing, Desert Slide, Juan José Mosalini, Arshad Ali Khan, Amira & Merima Kljuco, Karsu Donmez, Rebel up! Soundclash, Studio 52nd, Cubop City bigband & Edmar Castaneda, Hasan’s Angels, Burundi Drummers, Duo Umbral and Noshad-Nishad Ali. World Connection is one of the most energetic Dutch music companies, including a record-, concert agency-, and publishing division, in the field of world music. 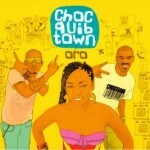 Represent artists like Mariza, Sara Tavares, Netsayi, Blick Bassy, Elizabeth Ayoub, Deolinda, Choc Quib Town & Netsayi. Work: Freelance PR and marketing manager 2010 / 2011. Tasks: presspromotion tours and cd releases ( Europe), targetpromotion tours and cd releases ( Europe), free publicity, organising photoshoots and coordinating World Sessions documentaries, leaflets, advertising, flyers, social media, writing press releases, writing texts for year leaflets ( specially World Sessions series), production, coordinating publicity for all artists on label & agency, chaperon artists/groups during the tours and accompany them to national radio/television/interviews/photoshoots ( in Europe), organzing pressdays, tourmanagement, coordinating publicity with the venues and festivals in the Netherlands and Europe. VPRO’s Vrije Geluiden exists since 1989. Untill 2002 this program was called ‘Reiziger in Muziek’ after the presenter Han Reiziger. Until januari 2009 Vrije Geluiden was presented by Hans Flupsen and now Melchior Huurman brings a weekly musicprogram. Focus: Classical, Jazz and Worldmusic. However every genre is welcome. Work: Freelance press agent for Europe. Tasks: coordinating all the press/publicity in Europe together with the group and management, presspromotions, artwork, merchandising CQT, chaperone group during tour in Europe, tourmanager for Spain and guiding the group to national Radio 3, Radio Gladys Palmera ( Barcelona) interviews etc. Music concept World Sessions takes a look behind the scenes of artists from all corners of the world with a movie, an interview, and a live performance, meet&greet and DJ afterwards. It is a platform for up-and-coming talent, where one can become acquainted with an artist and his or her music in an intimate setting. Artist 2010-2011: Somi ( Ruanda/USA), Mor Karbasi (Israel/UK), Rupa and the April Fishes (USA) and Gaby Moreno ( Guatemala/USA). Work: PR and Promotions. Tasks: presspromotion, targetpromotion, free publicity, social media, writing texts leaflets and website, administrator website, making of the newsletters, advertising, coordinating all publicity with venues ( Podium Mozaiek, Korzo Theater, Vredenburg, De Doelen, Oosterpoort, Theaters Tilburg), chaperon artists/groups during the tours and accompany them to national radio/television/interviews/photoshoots. Mediapartners: Radio 6 and Jazz Magazine. Contra Banda! is a crossingborder musical adventure. Between cultures and between traditional and innovative music and dance. Work: presspromotion for Hanggai (group), the festival headliner, coordinating publicity with festival organizer, organizing radio and television performances, coordinating logistics group together with the agency Earthbeat, organizing interviews and photoshoots, chaperone group during Dutch tour, travelling to different festivals/venues. Very successful, sold out and the audience partying till very late. Hanggai Band is a Chinese folk music group from Beijing who specialize in a blend of Mongolian folk music and more modern styles such as punk rock. Work: Freelance presspromotor for label ‘s cd release. Tasks: presspromotions, coordinating the European campaign, guide to interviews, radio and television performances, coordinating logistics together with agency Earthbeat, pressmailings, chaperone group during tour, brainstorming with labelproducer regarding artwork and tracklists etc, maintaining close contact with producers JB Meijers and Ken Stringfellow. Very successful campaing, Hanggai hit all the important media all over Europe. From Volkskrant (frontpage Art suppement + 3 pages interview + exclusive photo’s taken during tour), Parool ( frontpage + 1 page), NRC, Guardian, The Independent, magazines like Oor, Mojo, Revolver, Jazz magazine, etc . etc. 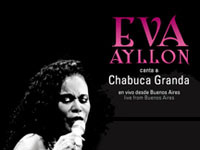 The Afro-Peruvian diva Eva Ayllón has been attracting, over the last 30 years, huge crowds in North and Latin America. She fills easily football stadiums with 30.000 people. Ayllón sings Lando, festejo and Creole waltzes, and various mestizogenres Peruvian, African and Spanish music. Work: Freelance Promotor. Tasks: presspromotion, targetpromotion, chaparone to television ( Vrije Geluiden watch here and here) recordings and interview Radio Netherlands Worldwide. Watch the interview here. Challenge Records int. music label and distributor specialized in classical and jazz music with a very extensive catalogue of national and international artists like Ploctones, Tineke Postma, Benjamin Herman, Erik Vloeimans, Ton Koopman and many others. Work: freelance promoter. Tasks: targetpromotion for CD release ‘Orquesta Reciclando’ from Jarabe de Palo ( Spain) and CD presentation at the Melkweg in Amsterdam (sold out), interview for Cultuurpodium. Read the interview here. Agency Ambos Mundos ( later fused with World Connection) represented artists like Marta Gomez ( Colombia/USA), Novalima (Peru), Gaby Moreno ( Guatemala/USA), Electrocumbe ( Colombia), Retro Visor ( Colombia) and Rupa and The April Fishes (USA). Work: Freelance promotor 2009. Tasks: presspromotion, targetpromotion, social media, free publicity, chaperon artists/groups during the tours and accompany them to national radio/television/interviews/photoshoots. Independent music label presenting exceptional music from around the world with artists like Rupa and The April Fishes, Luisa Maita, Bombino, Novalima and Sergent Garcia. 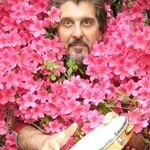 Cumbancha’s founder Jacob Edgar has helped produce compilation CDs that have sold a total of over ten million units worldwide. Work: promotions for CD release ‘Este Mundo’ from Rupa and the April Fishes and concert Bitterzoet. Work: Freelance Promotions. Tasks: presspromotion, targetpromotion, mailing with promo to press, chaperone group during stay. 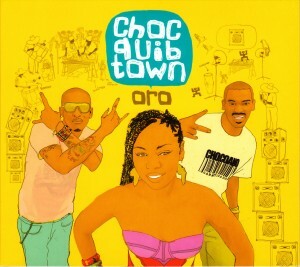 Coba Coba promises to bring even wider recognition to this innovative group, while furthering their mission to inspire new generations to appreciate and respect the Afro-Peruvian contribution to the world of music. 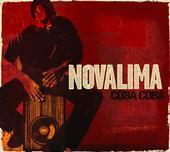 With a fresh and innovative sound that stands on a centuries-old foundation of soul and heritage, Novalima promises to keep Afro-Peruvian expression thriving long into the future. Work: targetpromotion, chaperone group during stay Netherlands. Veranders is a community of professionals and high potentials. Its members are refugees or persons connected professionally with refugees or by friendship and respect. St. Patchamama based in The Netherlands was founded in 2005 by an enthusiastic group of people with affinity for Latin America. To promote research, exchange and disperse Latin American cultures, organizing festivals, converences, concerts and European (theatre) tours for Latin American artists. Work: Promotion, production and tourmanagement. Tasks: presspromotion, targetpromotion, social media, chaperon artists/groups during the tours and accompany them to national radio/television/interviews/photoshoots, production festivals and concerts, writing press releases. 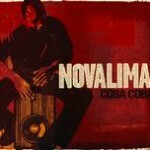 I started to work for Patchamama in 2009 to extend my Latin American network. Right now I am still very involved in this organization and volunteer a lot. My heart goes out to Latin America where my roots are. Nederlands Uitburo (NUB) – Portal, Agenda and Cultural Marketing Platform. Work: executive assistant from 2004 / 2009. It was very much pioneering and exciting to start an organization from scratch . In the first 5 years the NUB build a huge network in the Netherlands with 14 new establishments. NUB was supported by the government, Ministry of Culture, Education & Health and Stichting DOEN fund. Partners: 14 Uitburo’s, Rotterdam Festivals, Bureau Promotie Podiumkunsten, Volkskrant, VPRO, CJP, AD, Cultura, Theater&Concertbon, Seniorweb, Classic FM. It was a small team, 4 people. The director, marketing manager, IT manager and me. Soon I discovered my cultural marketing skills by working very close to the marketing manager and start doing the web editing and cultural tips. I did a few writing courses and Management for Cultural Projects course and in 2009, I started my own PR & Promotions company Pepita la Pistolera.